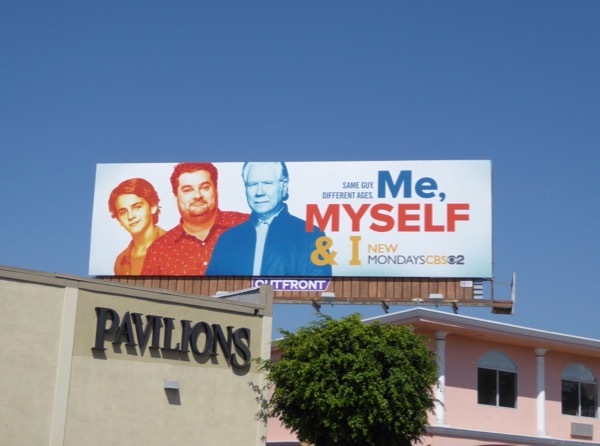 Every TV season you can guarantee there'll be a smattering of sitcoms trying to make audiences laugh week in week out. 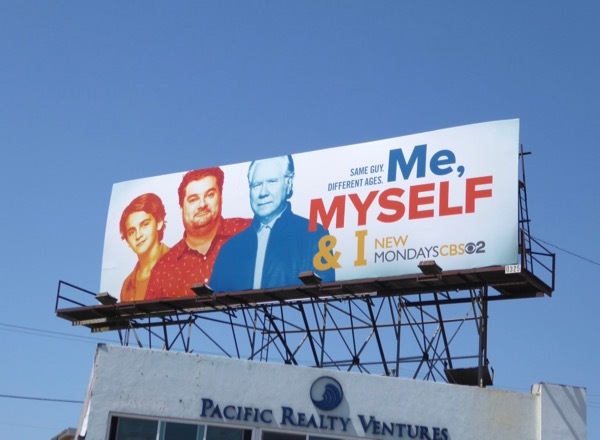 This year Me, Myself & I is one of those comedies from CBS, and it's taken a page out of NBC's smash hit time-hopping drama, This is Us, by following the life of one man during three pivotal stages in his existence over a fifty year span. 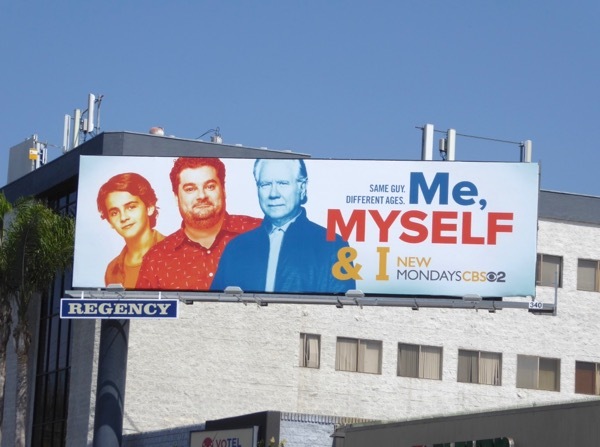 Jack Dylan Grazer plays a young 14-year-old 'Alex Riley' in 1991, SNL's Bobby Moynihan plays his 40-year-old self in modern times and John Larroquette stars as Alex at age 65 in 2042. 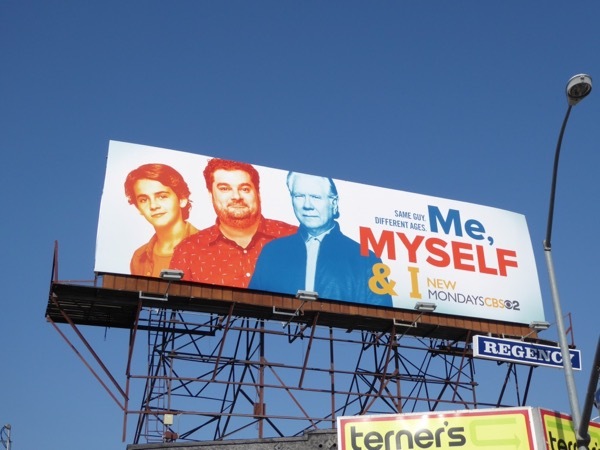 In each time period he has a different set of friends, family and life experiences to navigate and help supply the humour. 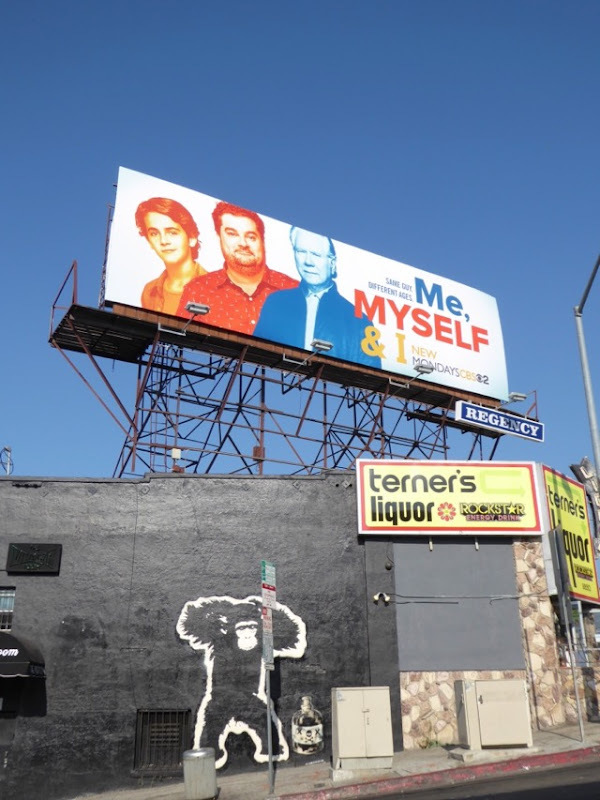 Daily Billboard loves the vibrant colour combination of these series launch billboards and they were spotted around the streets of L.A. from August 22 to August 27, 2017, including along the Sunset Strip, Santa Monica Boulevard, Vine Street, Westwood Boulevard, Pico Boulevard and Olympic Boulevard. 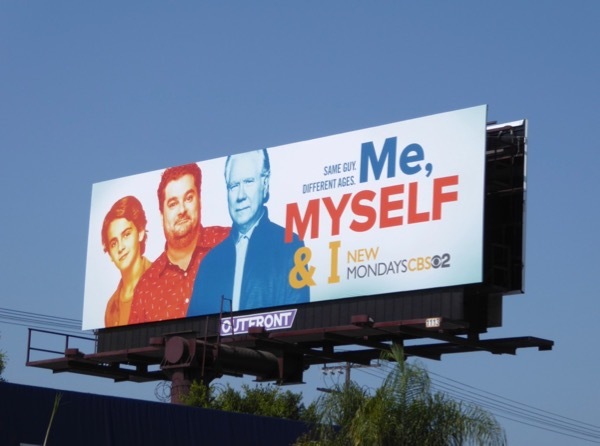 For more ad creatives featuring John Larroquette you can also check out these billboards for The Librarians TV series. 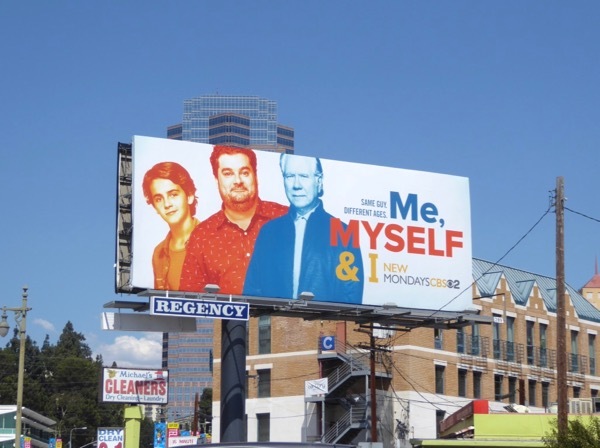 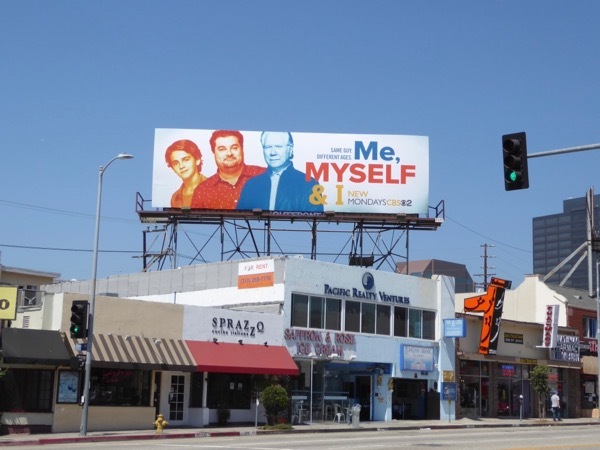 These colorful outdoor ads certainly convey the 'Same guy, different ages' theme of the show, but let's see if they do the trick and get folks watching the sitcom in big enough numbers this fall TV season.